Why are you so obsessed? If there is no God, why do you attack Him so vigorously? In essence, you are dealing blows to nothingness. I don’t believe in the Tooth Fairy. And I don’t waste my time trying to discredit her. She simply doesn’t exist. I don’t care if someone believes in her. I suppose if someone affirmed her reality, I would be amused. But I wouldn’t get mad. It makes no sense to shoot darts at “nothing.” Really, it smacks of personal vendetta. Something bad happened to you in life, so you exact revenge on God by energetically denying his existence. Do you also kick the door when it closes on you? No one ever launched a military assault on empty space. In reality, your vitriol, your fetish, only legitimizes God. If there were nothing to antagonize, everybody would go home and leave alone. You don’t bother me at all. I just wonder at you. 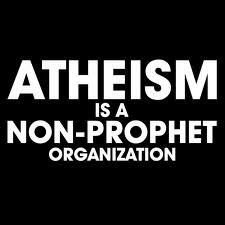 This entry was posted in inspiration and tagged atheism, Christianity, existence of God, God, God's existence, nothing. Bookmark the permalink. a very well-written observation. i hope many can see it! are you contending the claim that without religion there would be more peace in the world? Are you blind to the many atrocities that have been committed in the name of religion or is it a case of burying the head in the sand? Hi Makagutu, In answer to your first question, no. In answer to the second question, no. Thanks for the dialogue! Sorry, hit tab by accident. Looking back over human history the vast majority of conflict and bloodshed has been economic, ethnic and political in nature. Especially with the ghastly bloodshed of World Wars I and II. Religion plays a minor role in history’s violence and inhumanity. We can play hypotheticals and say that remove religion and peace would have reigned, or remove religion and humanity’s evil side would have been even less restrained. There’s no way to know for sure. Also, atheists often generalize “religion” but make no distinction between Christianity and Buddhism as forces for peace and social justice over the last 200 years and violent extremism being displayed in some segments of Islam. Given the evidence of human history I think a much stronger case can be made for the belief that if we removed religion from the equation human history would have been just as violent and bloody if not more so. There are plenty of reasons outside of religion for people to kill and brutalize each other in a fallen world. I didn’t point out christianity alone, but all religions. Even history tells us the Aztecs killed in the name of religion. But closer home, the conflict in Ireland is religion driven, catholics against protestants, there is a lot of religious intolerance in the muslim world and in so many other places; how then do you say religion is not the culprit? Islam in our day leads in bigotry, intolerance and so much other evils and christianity is up close. The argument as I understand it from Athiests is that the world would have less violence, more tolerance and overall more international peace if it were not for religion. I provided a list to show that historically most of the worlds violence, war and death has come about for reasons other than religion and that even removing religion would not have necessarily led to fewer instances of war, oppression and hatred. Look back at the list. Yes the Aztecs used religion as a justification for their power structures. But do you really believe that had they not had those religious beliefs they would not have found some other reason for conquest and brutality? As I said, the list I provided demonstrates historically that there is no reason to believe that they wouldn’t have engaged in conquest anyway. The absence of religion does not necessarily make the world a better place. And given the fact that historically, it has been Christians over the past two centuries that have led the way on many issues of human rights despite the hypocrisies of many in the Church, the world would have been a worse place for the loss of such faith. These issues are complicated and often require book length treatments to do them justice. But I would much rather work with an Athiest to end human trafficking or feed the hungry than to argue with one over theology and history. Wow Robert-preneur, You have made quite a study of this. Yes, I do think wars are waged more for money than for religion. Well, there is certianly quite a lot of analysis to be done. Hope to keep touching base with you. Robert, thank you for your response and I can see you have tried to make a good case for religion but I think, however, even when the wars have been ethnic like in the case of Rwanda and Yugoslavia, we can still find an element of religion. This is my case, it is in religious books where you find one race or group of people exalted above another and this me and you agree is a recipe for disaster! One group feels obliged to oppress another. I agree that we would need volumes to understand the intricacies of wars but we are agreed on one thing, we can fight human trafficking, child labour and other more important ills that face society than to argue over theology. I read your blog. Would it be alright if I reblogged it? I guess I ask because I have drawn quite a lot of fire from some of the atheists. You might not mind? I think your piece, in addition to marshalling logic, is very heartfelt and testimonial. I would love to reblog it. Sure, of course. I’m all for taking a bit of heat plus, it’s just what I’ve learned in my studies. Honestly it’s an honor! Don’t underestimate the power of your words because you’re young or for any reason. Your logic is backed by your personal experience. Thanks for shining the light of Christ. Thank you, I will take that advice. “Why are you so obsessed? If there is no God, why do you attack Him so vigorously? In essence, you are dealing blows to nothingness. The tooth fairy doesn’t try to impose Sharia on other cultures. Hey Antangonizer! Thanks for engaging in healthy dialogue! I like your points and appreciate your stating them. I hope others can appreciate them too. Exactly something I have thought, and said, for quite a while. mr msb – that was logical, funny, and very much to the point. thanks so much for writing these msbs. Judy M.
And you are correct to do so. However, what if those who did believe in the Tooth Fairy (or a variation…some believe in Tooth Pixies, some in Tooth Trolls, but they’re all Tooth creatures of one kind or another) made up the majority of the country you lived in? 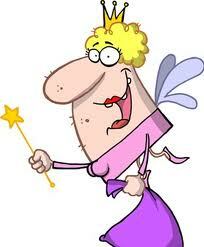 What if, then, the tooth fairy believers tried to change laws that gave their belief special rights and privileges? What if they tried to get belief of the tooth fairy taught in public schools as science? I’m an atheist. I don’t attack any gods. I attack the actions made by believers in gods that are harmful or immoral. Hey NotAScientist, Thanks for engaging in healthy dialogue! You make some good points! I appreciate the vigor of your dialogue! Thanks! 🙂 You ought to read some of the commentaries of some atheists. They make some very good points. Of course, I haven’t addressed their points (yet). I am a believer in God but also in healthy dialogue, not straw man arguments or ad hominem. Everything that thegreatantagonizer said plus this link to a visual so that it is easy to see why religion poisons everything. If the tooth fairy was actively trying to oppress and harm people the way that the big 3 monotheistic religions are, then I’d fight the tooth fairy too. Religion doesn’t blow up buildings and burn witches even though the Abrahamic faiths all have holy texts which advocate such as that and worse. It is believers that kill in the divine name of their deity. If believers would keep their faith in their own homes and churches and stop trying to peddle it off as science curriculum and government policy then nobody much would care what they think about before they lay down to sleep at night. The trouble is that they don’t and can’t. The very texts that their faith relies on tells them to oppress and kill those who do not believe or even those who blaspheme or apostatize. The pillars of their ‘faith’ tell them to kill. The foundation of their belief is immoral no matter the claim to divine right. Don’t tell me that the NT negates the OT – if it does, throw out the ten commandments and all your objections to homosexual relations. When believers apply their faith unevenly and always in their own favor and always against the wishes of the oppressed, it is only right to object loudly. It is not just right, it is the duty of all those who believe in human rights to object loudly, often, and with vigor. If you don’t want to feel like you’re being persecuted, go clean up your own back yard. Till then it’s big brush, bucket of tar …. slap, slosh, slather Every believer … with the same brush, and it’s quite fair to do so. Just a side note: bloggers can edit a comment before allowing it to be posted so if a word offends you, you can edit it out, or replace it with redaction marks etc. thanks for all the good arguments. thanks for the instruction when using wordpress. I am still learning. I hope to continue dialogue with you and your friends! I like a good discussion. Over at thegreatantagonizer’s blog, I gave something of an apology for what I said. I repeat here: I jumped the gun and reacted poorly. Learning wordpress is not simple as they would like it to be. I hope to continue discussions also. Thank you. In fun, “YOU DON’T BELIEVE IN THE TOOTH FAIRY??? 😀 My feelings are hurt…” — Please know that this is in jest. I pray for us all, believers and those who do not believe. Take care! Yes quite a bit of effort to explain nothing exists. Good post. Well said my friend. 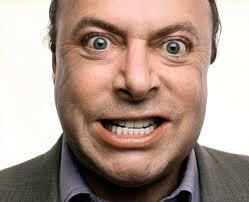 If God does not exist why bother to refute Him. I am just glad that the God I serve lives. People want to be recognized for their beliefs, and they’ll scream and shout to get that recognition……..even if they believe in nothing.